We have a special review of a designer item this week. What is special about this item? yeah, it's my favourite designer brand - Louis Vuitton. Four attractive colour (Red, Green, Pink and Violette) for you to choose. The Insolite wallet combines a casual, functional style with sharp details. It can be either held as a clutch or slipped into a bag. The wallet features with zipper, and double snap button closure 2 zipped pockets and 12 credit card slots! It comes with a gift box and a special note.. The Insolite wallet measures a versatile size of 8.3" x 4.3". It's bigger than the ordinary wallets (like it!) in Monogram line, hence it can also be held as a clutch. The zipper pulls are made from leather with the same colour as the wallet's grained calfskin inside lining. We have witnessed our precious Insolite Monogram wallet in PINK!! We love to shop for our diva from Sabah (thanks dear!) and she chose the right chic colour. 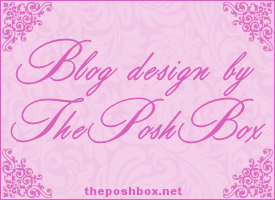 Enjoy the snap shots of her gorgeous pink Insolite wallet and her review. "dearie!!! i have just received my wallet! it's beautiful that i keep staring at it! my buying experience from you has been better than stepping into the LV boutique! thanks so much dear. I hope to get another LV piece soon. i seriously LOVE this wallet! it's so spacious and the bright pink inside just brightens any gloomy day:D"
Lovin' the colour and versatility!